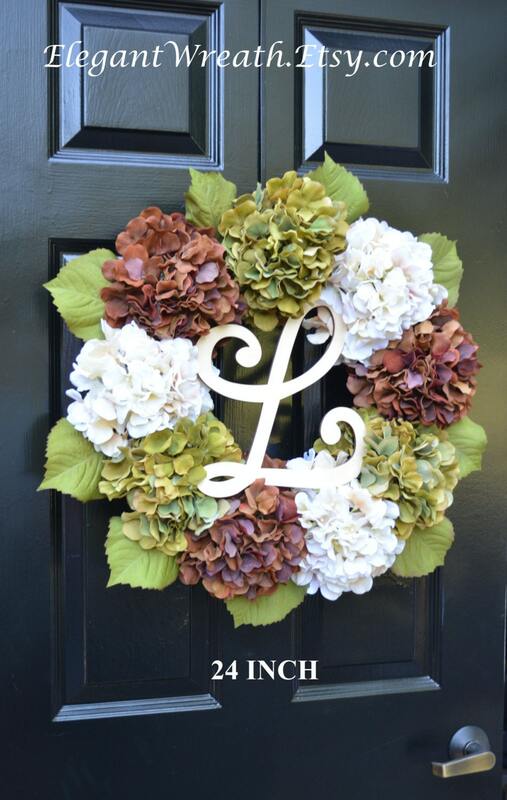 This hydrangea wreath is 24 inches in diameter including the leaves and 5 inches thick. 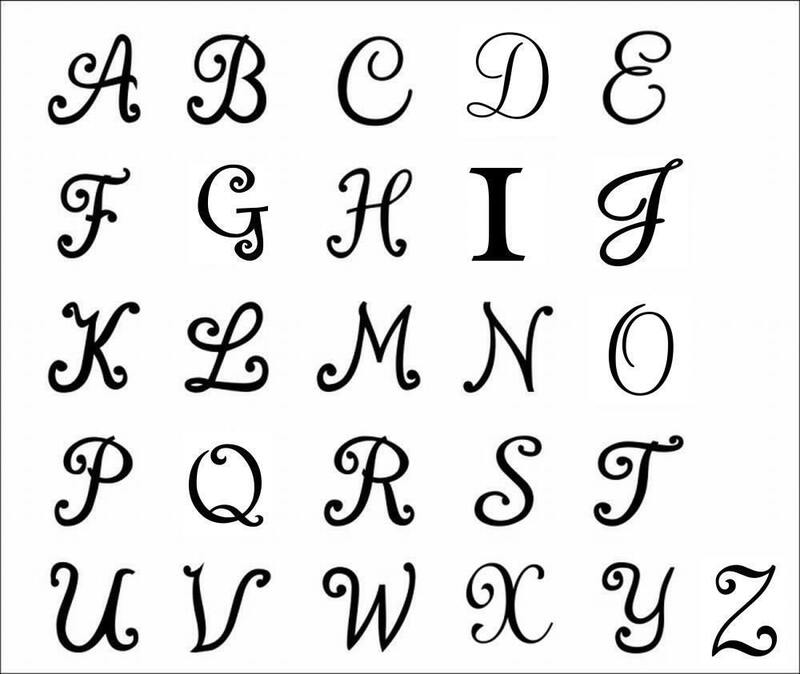 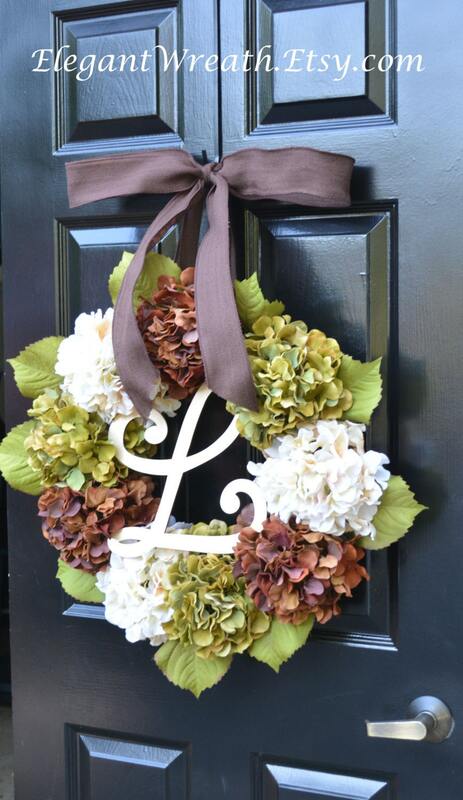 Also available with 6 hydrangeas (19 inch diameter wreath). 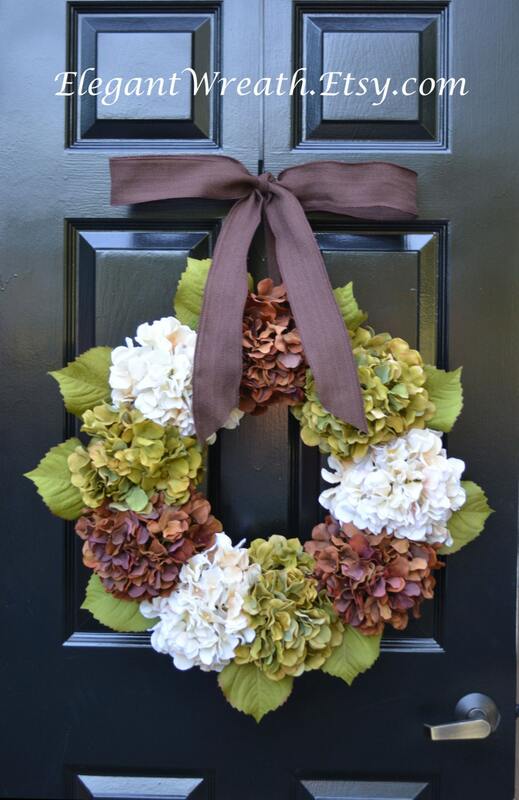 This wreath is shown in sage, brown and cream hydrangeas.